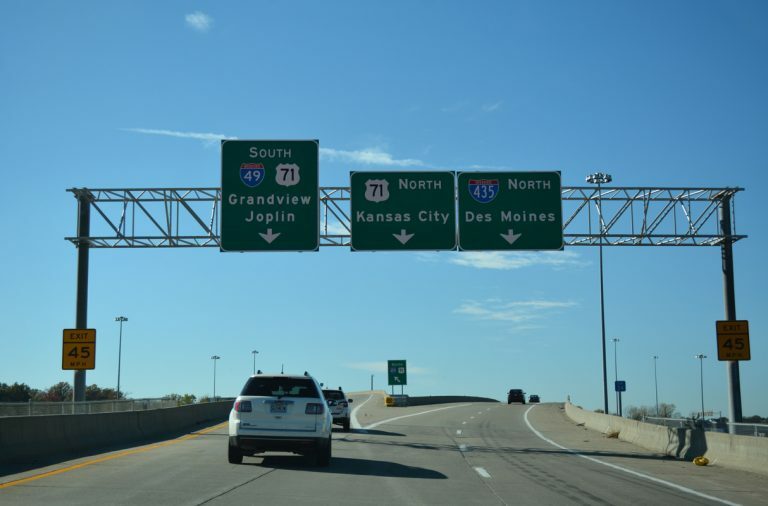 Envisioned as a nearly 850 mile route from New Orleans to Kansas City, Interstate 49 is currently signed on four distinct segments from the Gulf Coast to the Midwest. The original 208-mile stretch runs north from Lafayette to Shreveport. Subsequent sections are posted from Blanchard, Louisiana north to Texarkana, between Alma and Bentonville, Arkansas, and between Pineville and Grandview, Missouri. Additional sections, each signed as Arkansas 549, include the Bella Vista Bypass section, around the south and west sides of the city, and the Chaffee Crossing section to the southeast of Fort Smith, Arkansas. The Belle Vista Bypass (Arkansas 549) ties into U.S. 71B just west of Interstate 49 and Exit 93 at a roundabout. Photo taken 11/02/16. Future Interstate 49 corridor signage appears from Lafayette southeastward via U.S. 90 to New Orleans. Interstate standard upgrading is underway along U.S. 90 near New Iberia and Morgan City, and Interstate 49 will culminate its journey along the Westbank Expressway before terminating at Interstate 10 in Downtown New Orleans. The majority of this section (from Lafayette east to the junction of Interstate 310 and unsigned Interstate 910) was approved as “Future Interstate 49” by AASHTO’s Route Numbering Subcommittee on November 6, 1998. The section between I-310 and I-10 (unsigned I-910) was designated as Future I-49 on October 1, 1999. Interstate 49 from Shreveport to Kansas City is part of High Priority Corridors 1 and 72: North-South Corridor, while the future section between New Orleans and Lafayette is part of High Priority Corridor 37: U.S. 90. Presently Interstate 49 has a gap between Interstate 20 near Downtown Shreveport and Louisiana 1 to the east of Blanchard. 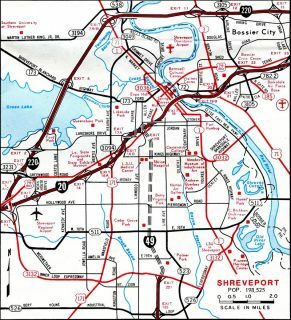 Original plans shifted I-49 onto Louisiana 3132 (Inner Loop Expressway) and the western portion of Interstate 220 to bypass Shreveport. However efforts emerged from the city of Shreveport and local officials to build the I-49 Inner City Connector. The Connector is approximately 3.6 miles in length. If constructed, I-49 will continue north from I-20 along Peter Harris Drive to Ford Street and then northwesterly along Twelvemile Bayou to I-220. A Feasibility Study and Environmental Inventory was completed in May 2010 and currently an Environmental Impact Statement is underway. A half-diamond interchange with U.S. 59 & 71 at the north end of I-49 outside Texarkana, Arkansas will eventually connect with a six to eight mile alignment proposed through Bowie County, Texas. This alignment includes a proposed interchange with Interstate 369. Looking north at the temporary end of Arkansas 549 (Bella Vista Bypass) north at County Road 34 in Benton County, Arkansas. Photo taken by David Backlin (07/25/15). The Interstate 49 corridor will not utilize the Missouri 249 and 171 corridor east of Joplin due to the presence of traffic signals at the diamond interchange between U.S. 71, Missouri 96 and Missouri 171 south. Retain the Interstates 44 & 49 overlap, but upgrade the cloverleaf interchange at Exit 18 into a directional interchange. 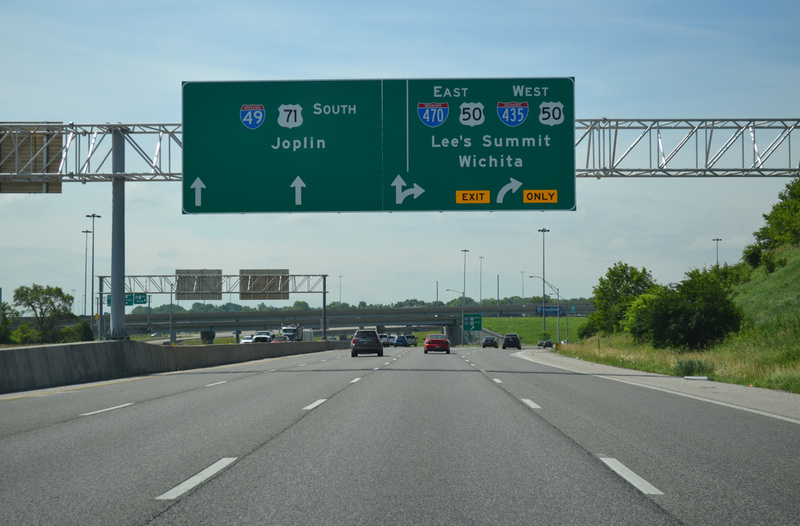 Utilize the Missouri 249 and 171 corridor by upgrading the interchange between U.S. 71, Missouri 96 and 171. Utilize the Missouri 249 and 171 corridor by construction a new freeway connection from near Morgan Heights northeast to Interstate 49, bypassing Carthage to the north. A toll road was considered for I-49 from the Bella Vista Bypass in Arkansas north to Pineville,3 but subsequently dropped. The right of way was acquired and plans were completed for the five mile section by 2008. MoDOT was awaiting completion of the Arkansas section to move forward,29 and eventually allocated funding for its portion in the 2013-17 Draft STIP. 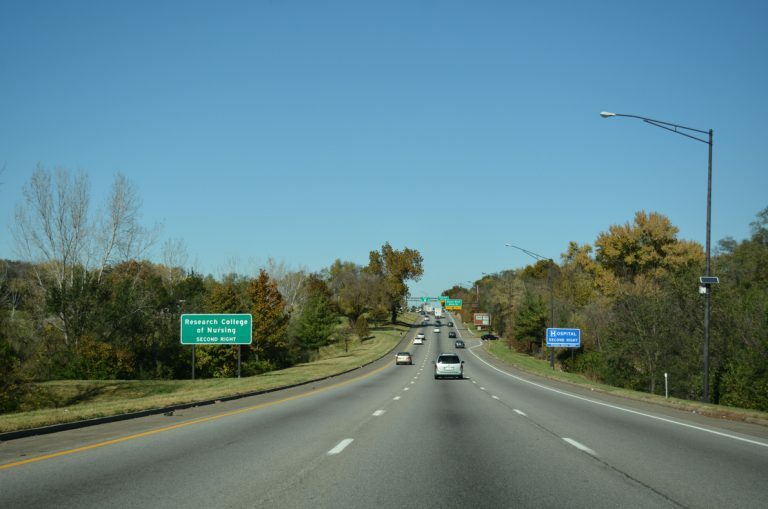 It is anticipated that a contract will be awarded for construction of the I-49 Missouri-Arkansas Connector in Spring 2020. Work will extend into 2022. Interstate 44 east at Missouri 249 north and I-49 & U.S. 71 south. 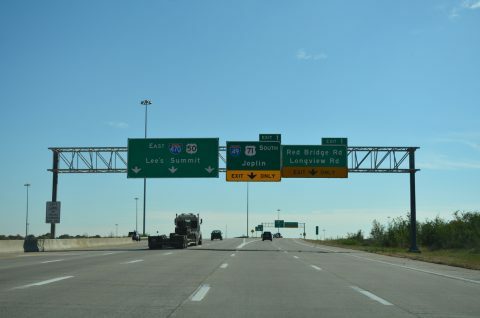 Signs installations from earlier in 2012 allocated space for Interstate 49. Photo taken 05/04/12. 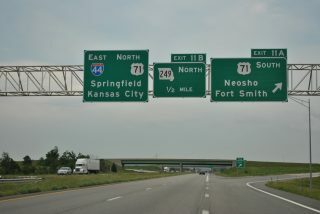 Interstate 49 & U.S. 71 north combine with Interstate 44 east for 6.32 miles between Exits 11 and 18. I-49 extends south 34.6 miles to U.S. 71 at Pineville. 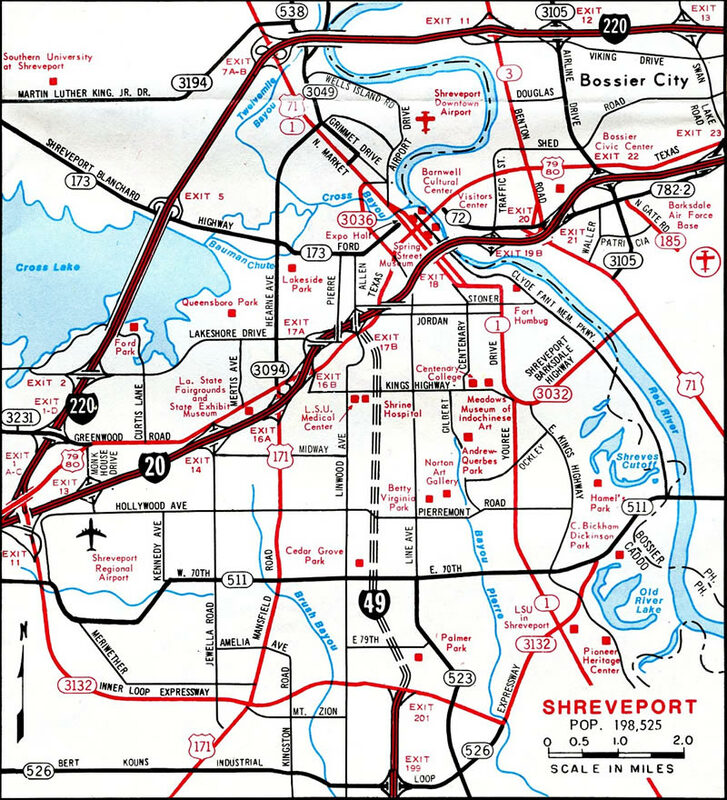 One of the final segments of Interstate 49 built in Louisiana was the northernmost portion between Louisiana 3132 (Inner Loop Expressway) and Interstate 20 in Shreveport. This was completed by late 1994. Parcel map showing the path of the Bella Vista Bypass. The road is proposed at 20 miles overall, 15 of which are in Arkansas. The initial three mile stretch of the super-two freeway, between AR 72 west of Hiwasse and AR 72 south of Hiwasse, opened to traffic in 2014. Work progressed with the opening of another 30 miles of Interstate 49 on November 22, 1989. 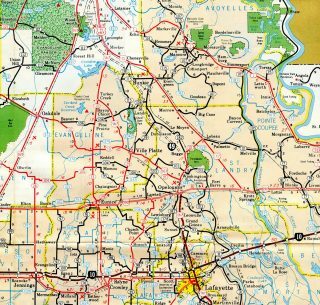 This section included 18 miles from LA 174 to U.S. 84 in DeSoto Parish and 12 miles from Fierson to LA 526 (Industrial Loop) on the south side of Shreveport.35 Another 7.3 miles of I-49 opened around Boyce to the north of Alexandria on September 26, 1991.36 A movement during that time period shifted the alignment of I-49 from a bypass of Alexandria to a route through Downtown at the urging of merchants, civic leaders and political officials who feared economic losses for the city had it been bypassed. This pushed back the timetable for completion of the 4.5-mile segment through Alexandria to 1996.36 The section through Alexandria was eventually designated the Martin Luther King, Jr. Highway. A number of projects have upgraded U.S. 90 to freeway standards in Iberia and Lafayette Parishes. These include an $24.5-million interchange at Louisiana 25 opened in January 2011. An upgrade of U.S. 90, from Pinhook Road to Broussard, was completed in October 2012 at a cost of $20 million. 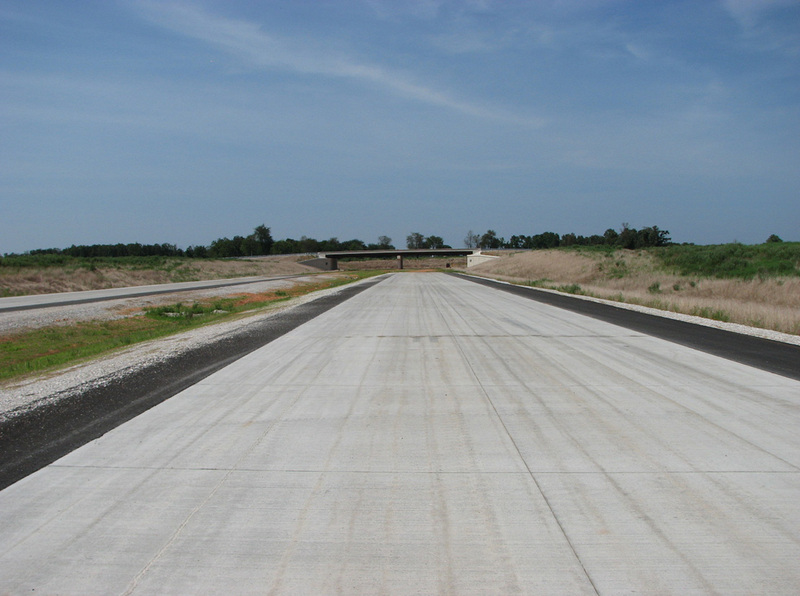 Frontage roads were constructed along the US highway between LA 675 and LA 88 at a cost of $21.4 million. These were completed in January and June 2011 respectively. Additional frontage roads were added to U.S. 90 from LA 83 to Darnell Road ($5.4 million and finished in February 2012), from Darnell Road to LA 85 ($5.8 million and finished in April 2014) and at Captain Cade Road ($1.4 million and complete in August 2012). Groundbreaking for the first phase (Segment B) of the new Interstate 49 corridor, between Interstate 220 and the Arkansas State Line, occurred north of Mira at the intersection of Parish Road 16 and Parish Road 25 on Thursday, April 7, 2005.8 This section of Interstate 49 was estimated to cost $385 million.9 Work continued in 2007 on I-49 at the state line, where crews completed earth moving on a 6.6-mile long section. Interstate 49 in southwest Arkansas overtook the Arkansas 549 freeway between Exit 4 (U.S. 71) near Doddridge and U.S. 59 & 71 north of McKinney Bayou and Texarkana, as well as Future Interstate 130 along Arkansas 245. The first segment of this freeway (from Fouke to Texarkana) was completed on December 16, 2004.7 The remainder south to Louisiana opened on November 10, 2014. The Arkansas State Highway and Transportation Department (AHTD) is currently reviewing funding options for Interstate 49 between Texarkana north to Fort Smith. Currently no freeway route exists between Texarkana and Fort Chaffee, southeast of Fort Smith. Work commenced in 2010 on a section of Future Interstate 49 between County Route 8 and Arkansas 22 in the Fort Smith / Fort Chaffee area. 2.7 miles of roadway embankment, two overpasses and four box culverts for the new freeway were completed in fall of 2011.19 Additional work on the Chaffee Crossing section of I-49 added an interchange at Arkansas 22 (Rogers Avenue) and diamond interchanges at Massard Road and Roberts Boulevard as part of the overall $57.65-million, seven-mile stretch of freeway. The contract involving construction of 0.635-miles of roadway and the new interchange with U.S. 71 at the south end was let May 2, 2012.21 This work concluded on July 14, 2015.30 See a set of photos from the ribbon cutting ceremony held that day at David Backlin’s Flickr page. What was previously known as Arkansas 540 was initially submitted to AASHTO for inclusion in the Interstate Highway System as Interstate 49 from Interstate 40 near Fort Smith north to the junction with Business U.S. 71 near Fayetteville. On April 25, 1997, AASHTO denied this proposal, indicating that the lack of connecting routes at the northern end would preclude the route from consideration at that time. It was approved as Interstate 540 a few months later by AASHTO, on November 14, 1997. 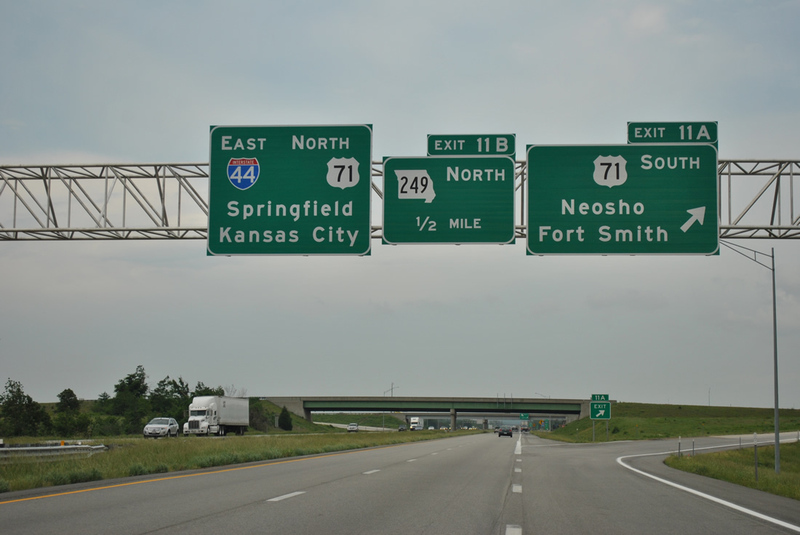 The AASHTO Highways Special Committee on U.S. Route Numbering meeting of October 14, 2011 approved the Interstate 49 designation in Missouri contingent on the route being fully upgraded to Interstate standards between Pineville and Kansas City. 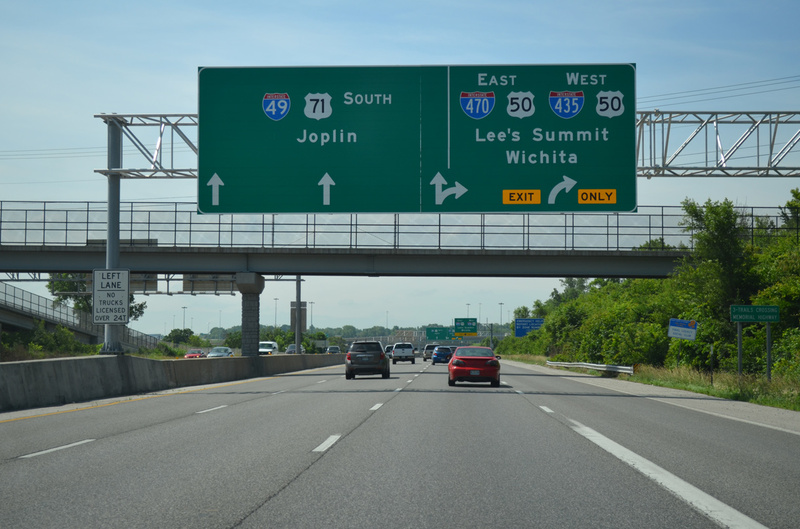 Additionally business loop designations for U.S. 71 at Butler, Joplin, Neosho and Nevada were given conditional approval for renumbering as Business Loops for I-49. 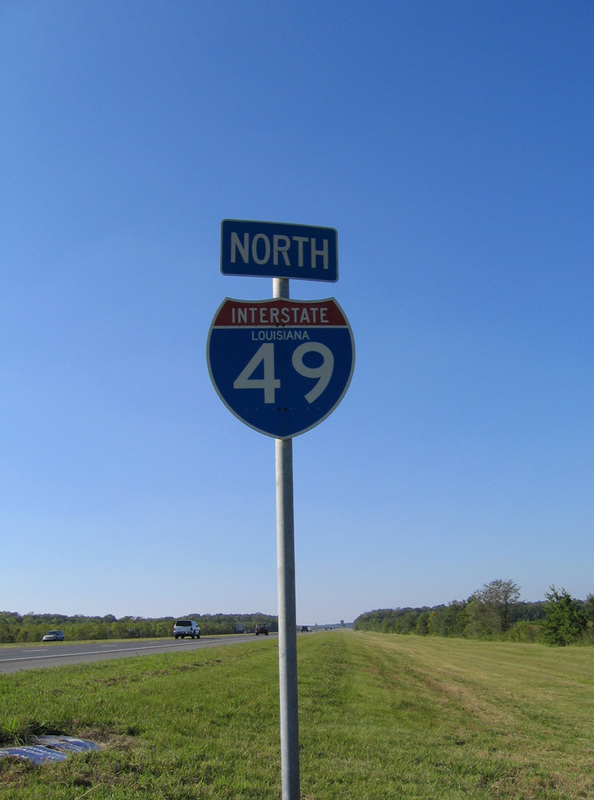 A contract to erect signs with space allocated for Interstate 49 was let in October 2011 in anticipation of planned signing of the route statewide in December 2012. 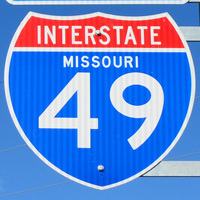 The project to install around 1,200 signs for I-49 commenced on February 1, 2012 at a cost of $3.5-million. That work was projected for completion by December 1, 2012.16 Interstate 49 was made official in Missouri on December 12, 2012 in a ceremony held at Joplin East Middle School at noon. 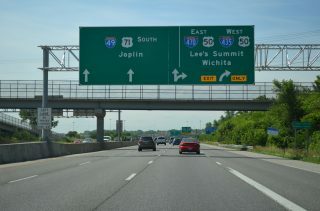 The designation applied to 180 miles of U.S. 71 between Kansas City and Joplin. The first of two parkway sections along U.S. 71 (Bruce R. Watkins Drive) northbound through Kansas City, Missouri. Photo taken 11/03/16. The two parkway sections include signalized intersections at Gregory Boulevard, 59th and 55th Streets and several right in and right out movements. Thousands of bushes and trees, attractive landscaping and decorative bridges were incorporated into the route as part of the court decision in 1985.6 With the parkway design, it is unlikely that Bruce Watkins Drive will ever be incorporated into Interstate 49. 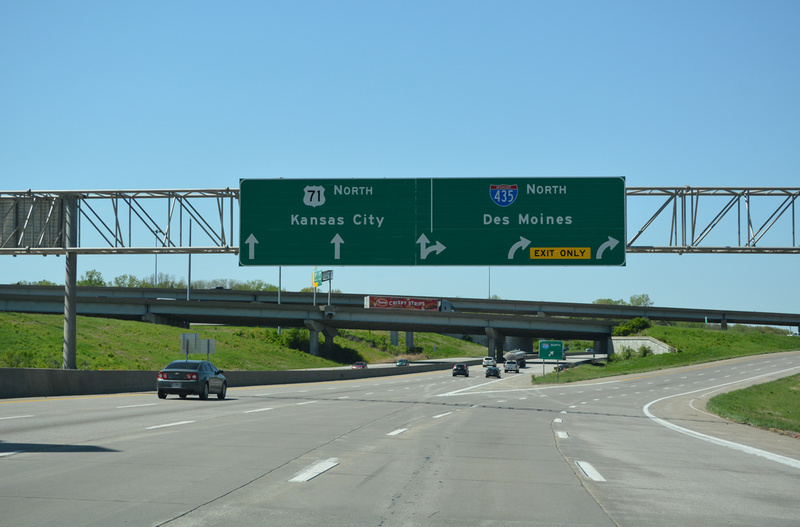 The I-49 & U.S. 71 mainline navigates between roadways for I-470 & U.S. 50 as they link with the Kansas City beltway west between Oakwood and St. Catherines Gardens in south Kansas City. 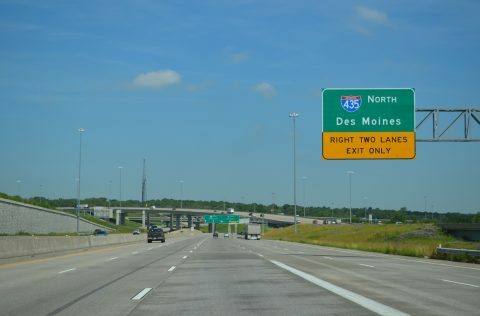 A three-lane ramp follows with Interstate 435 north directly. Photo taken 06/19/15. A two-lane on-ramp from I-470 & U.S. 50 west adds traffic to I-49 & U.S. 71 north through the Three Trails Crossing Memorial Highway interchange. 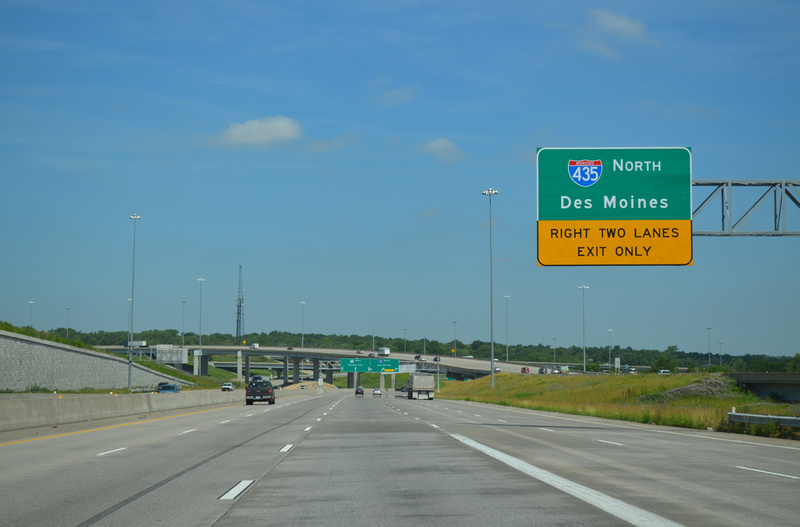 The auxiliary lanes departs for I-435 north toward Raytown, Independence and I-35 for Des Moines, Iowa. Photo taken 06/19/15. 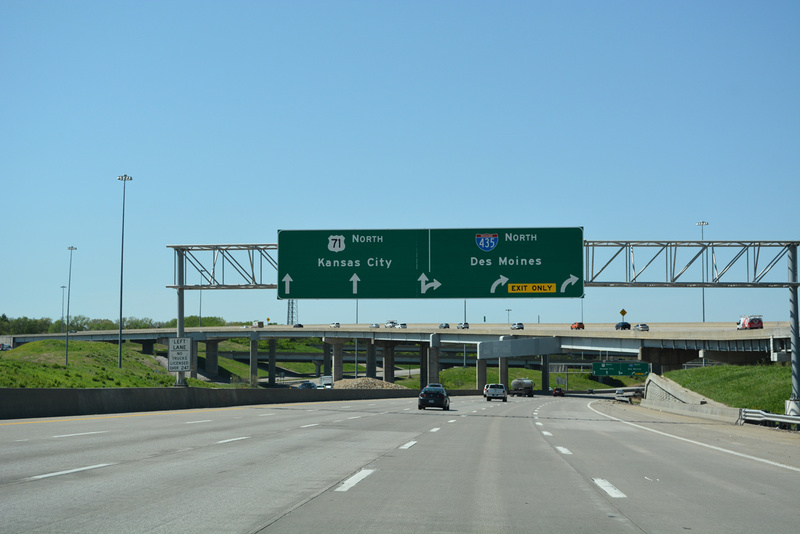 An arrow per lane sign (APL) separates drivers for Interstate 435 north around the east side of Kansas City to Claycomo and U.S. 71 (Bruce R. Watkins Drive) north to Blue Hills, Ivanhoe and Downtown, Kansas City. Photo taken 06/19/15. Interstate 49 formally concludes northbound at the Kansas City beltway (Interstate 435). 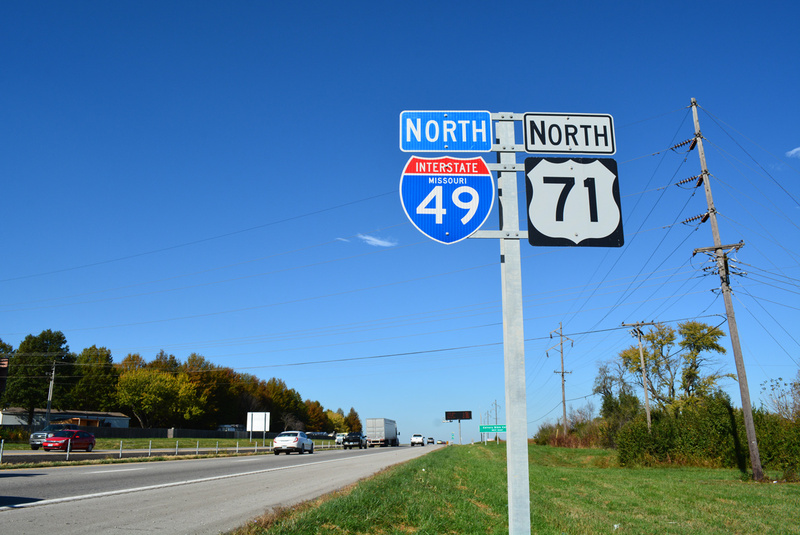 U.S. 71 extends north as a hybrid freeway and parkway to the Alphabet Loop (I-70 and I-670). Photo taken 11/02/16. 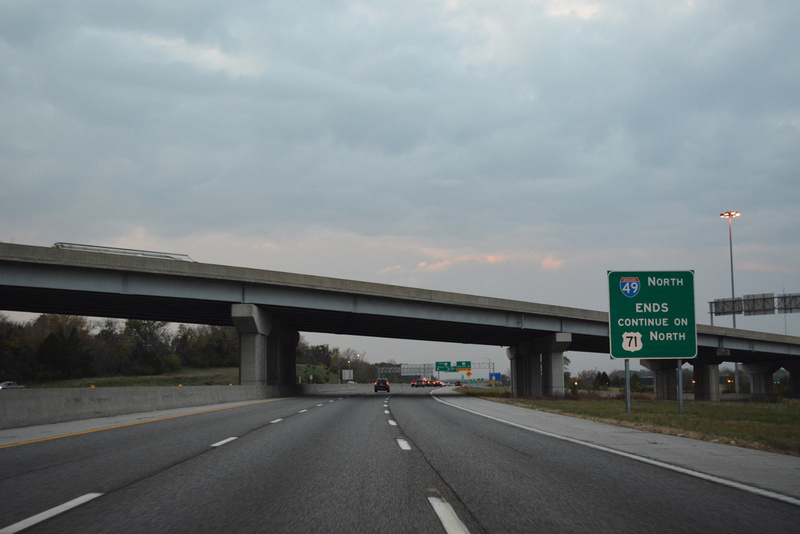 U.S. 50 splits with Interstate 435 east to join the beginning of Interstate 470 east. The initial stretch of freeway runs along side U.S. 71 and the initial stretch of I-49 south. 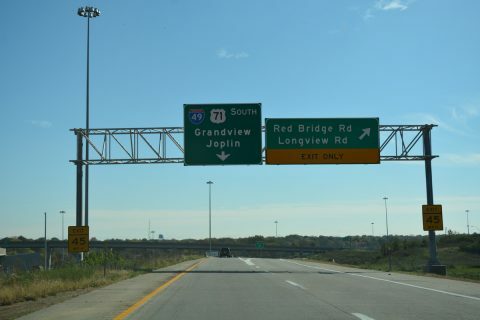 Exit 1 completed the movement from the beltway east to I-49 south toward Grandview and Joplin. Photo taken 11/03/16. Separate ramps from both I-470 east and I-49 south depart simultaneously and combine to form a service road south to Red Bridge and Longview Roads. This configuration was built during the Three Trails Crossing Memorial Highway project to shift weaving traffic away from the U.S. 71 freeway mainline. Photo taken 11/03/16. A single lane flyover (Exit 1) departs from Interstate 470 west to the left for I-49 & U.S. 71 south for Grandview, Belton and Harrisonville. The right lanes join U.S. 71 (Bruce R. Watkins Drive) north from the end of I-49 just prior to its off-ramp for I-435 north. Photo taken 11/03/16. U.S. 71 (Bruce R. Watkins Drive) expands to four southbound lanes from the Highway W on-ramp to the Three Trails Crossing Memorial Highway interchange with I-435 and I-470. 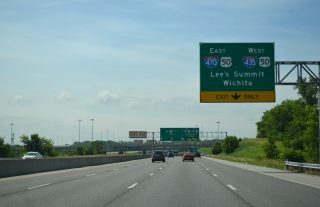 The Kansas City beltway west references Wichita for the connection with I-35 south in Lenexa, Kansas. Photo taken 06/19/15. All traffic bound for I-435 & U.S. 50 west to Overland Park, Kansas or I-470 & U.S. 50 east to Lee’s Summit departs in unison via a two lane ramp. There is no access to I-435 north from U.S. 71 south due to low demand. Instead Route W (Bannister Road) provides a surface route connection for I-435 to the north. Photo taken 06/19/15. U.S. 71 expands to three through lanes as Interstate 49 begins. The two routes overlap southward 138 miles to I-44. Grade level ramps meanwhile carry motorists onto I-435 & U.S. 50 west to the Johnson County, Kansas suburbs and I-470 & U.S. 50 east toward Sedalia. Photo taken 06/19/15. Interstate 49 travels along an elevated route through Shreveport to the four-level interchange (Exit 206) with Interstate 20. Exit 205 lowers from the freeway in this scene to Kings Highway and an adjacent medical district. Photo 05/20/14. Exit 206 departs in a half mile for Interstate 20 as the freeway links northwest to an at-grade end at Murphy Street and Pete Harris Drive. Photo 05/20/14. The Kings Highway on-ramp adds a fourth northbound lane to Interstate 20. I-20 winds northeast to Downtown Shreveport and across the Red River to Bossier City. Photo 05/20/14. Three lanes extend north from Interstate 49 to the Allendale and Lakeside residential area while Exit 206 separates into flyovers for Interstate 20 west to Dallas, Texas and east to Monroe. Photo 05/20/14. High rises come into view as Interstate 20 approaches the Red River and southwestern turn to Downtown Shreveport. An advance sign for Interstate 49 appears amid a quick succession off off-ramps. Photo taken 05/20/14. Stoner Avenue, Fairfield Avenue and Murphy Street intersect directly above Interstate 20 west as the freeway drops below grade to Exit 17B for Interstate 49 south. Photo taken 05/20/14. A two lane flyover (Exit 17B) parts ways with I-20 west for Interstate 49 south. Alexandria lies 123 miles to the south. Photo taken 05/20/14. Embedded within the four-level interchange at I-49 are local ramps with Linwood Avenue and Lakeshore Drive. Exit 17A replaced the diamond interchange with Pierre Avenue displaced by construction of Interstate 49. Photo taken 05/20/14. A ramp stub was incorporated into the flyover taking traffic from I-20 west to I-49 south for the unconstructed freeway north through Allendale and Lakeside. The in-city route of Interstate 49 remains a possibility. Photo taken by Chris Patriarca (04/08/03). Passing by the state fairgrounds and over Hudson Avenue, two miles ahead of Exit 17B for Interstate 49 south. I-49 provides part of a long distance route connecting the Dallas-Fort Worth area with New Orleans via Interstate 10. Photo taken 05/20/14. The original section of Interstate 49 travels 206 miles south from I-20 in Shreveport to I-10 at Lafayette. I-20 meets U.S. 79 & 80 just prior to the four level junction with I-49. Photo taken 05/20/14. Interstate 20 curves northeast from the diamond interchange (Exit 17A) with Lakeshore Drive to the symmetrical stack interchange (Exit 17B) with Interstate 49 south and Pete Harris Drive north. Photo taken 05/20/14. The on-ramp from Lakeshore Drive separates into prongs for both the I-20 eastbound mainline and departing flyover for Interstate 49 south. Photo taken 05/20/14. Interstate 49 & U.S. 167 enter the Lafayette city limits at LA 98 (Gloria Switch Road). The tandem proceed south 2.7 miles to the freeway end at Evangeline Throughway. Photo taken 05/19/14. Auxiliary lanes expand Interstate 49 to six overall lanes between Pont Des Mouton Road (Exit 1C) and the west ramps with Interstate 10 (Exit 1B). Photo taken 05/19/14. Interstate 10 proceeds west from Lafayette to Lake Charles, Beaumont and Houston, Texas. Photo taken 05/19/14. Interstate 49 ends as Exit 1A parts ways from U.S. 167 south for eastbound I-10. Interstate 10 plies across the Atchafalaya Basin Bridge beyond Henderson to Baton Rouge. Photo taken 05/19/14. The final mainline exit joins Interstate 49 south with Pont Des Mouton Road. Sign changes made here and I-49 renumbered the ramps for I-10 to Exits 1B/A and Pont Des Mouton Road to Exit 1C. Photo taken by Chris Patriarca (04/08/03). Replaced guide sign for Interstate 10 west posted south of Pont Des Mouton Road. Photo taken by Chris Patriarca (04/08/03). The loop ramp for Interstate 10 east was unnumbered until sometime after 2009. This panel was replaced by 2007 and again by 2013. Photo taken by Chris Patriarca (04/08/03). U.S. 167 (Evangeline Throughway) north leaves the area of Northgate Mall and transitions into an expressway. A set of J-turns with Chalmette Drive precedes the ramps for Interstate 10 at Exits 1A/B. Photo taken 05/19/14. Frontage roads accompany U.S. 167 north to the cloverleaf interchange with Interstate 10 and transition to I-49. Photo taken 05/19/14. Interstate 49 begins as Exit 1A leaves for I-10 east to Breaux Bridge, Baton Rouge and New Orleans. Alexandria is an 80 mile drive to the north. Photo taken 05/19/14. Motorists joining Interstate 10 west will reach Lake Charles in 72 miles while I-49 & U.S. 167 continue north by two additional Lafayette exits to Carencro. Photo taken 05/19/14. This set of overheads was carbon copied by 2008. A new sign bridge was installed by 2011 as exit numbers changed. Clearview font based signs replaced those panels by 2013. Photo taken by Chris Patriarca (04/08/03). A third northbound through lane was added to the left for Interstate 49 & U.S. 167 by 2008. Photo taken by Chris Patriarca (04/08/03). The first guide sign for Interstate 49 & U.S. 167 appears at the diamond interchange (Exit 104) with Louisiana Avenue on Interstate 10 west. Exit 104 opened to traffic on August 29, 2003 to both spur economic development and provide a better access to I-10 from Lafayette. Photo taken 05/19/14. An extended on-ramp joins Interstate 10 west on the one mile approach to Interstate 49 & U.S. 167 as the freeway crosses the Vermilion River. The original westbound lanes of I-10 were repurposed as the on and off-ramps to Louisiana Avenue. Photo taken 05/19/14. Hurricane Evacuation trailblazers are posted along Interstate 49 from Lafayette northward all the way to Shreveport. 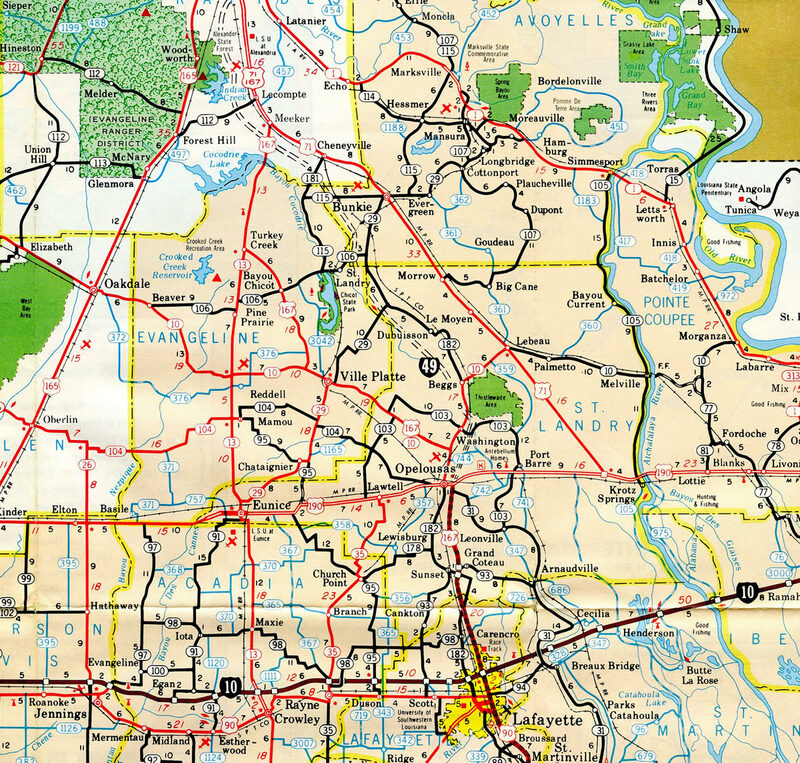 The city of Opelousas lies 19 miles to the north at the crossroads with U.S. 190. Photo taken 05/19/14. Interstate 49 leads north from Lafayette to Alexandria and Shreveport as part of a long distance route joining New Orleans and Baton Rouge with Dallas and Fort Worth, Texas. U.S. 167 overlays the freeway from I-10 to a point near Washington, and again at Alexandria. Photo taken 05/19/14. Prior to the construction of the Louisiana Avenue ramps, a two-mile sign was posted for Interstate 49 north and U.S. 167 on I-10 west. Vidcap taken 01/96. When this footage was shot, Interstate 49 was not complete in Alexandria nor in most of Shreveport. The guide signs for I-49 posted in 1986 referenced Opelousas. Subsequent sign replacements retained the local control point. Vidcap taken 01/96. Interstate 49 and U.S. 167 constitute a four-lane freeway with a frontage road system between Lafayette and Opelousas. The pair cross paths with U.S. 190, a secondary corridor between Opelousas and Baton Rouge across the Acadiana wetlands, in 19 miles. Photo taken 10/15/03. Interstate 49 & U.S. 167 is the second of four interchanges along Interstate 10 east within the city limits of Lafayette. Exit 101 departs first for Louisiana 182 (North University Avenue). Photo taken 05/19/14. Interstate 10 spans a former railroad grade and St. Antoine Street one half mile ahead of the full cloverleaf interchange (Exits 103A/B) with Interstate 49 and U.S. 167. Photo taken 05/19/14. Exit 103A departs from I-10 east next for U.S. 167 (Evangeline Throughway) south toward Downtown Lafayette and Lafayette Regional Airport (LFT). 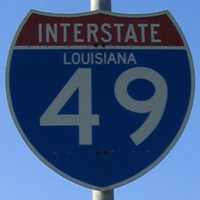 The I-49 Lafayette Connector will overtake a portion of this route to U.S. 90 and New Iberia. Photo taken 05/19/14. Construction of Interstate 49 directly upgraded the divided highway of U.S. 167 north to Opelousas. Beyond their split at Exit 23, I-49 travels mostly as a rural route to Shreveport, with the exception of an urban stretch through Alexandria. Photo taken 05/19/14. Replaced guide signs for Interstate 49, U.S. 167 and LA 182 at the eastbound off-ramp (Exit 101) from I-10 to North University Avenue. South of Lafayette, LA 182 represents former alignments of U.S. 90 (Old Spanish Trail) through the Acadiana parishes. Photo taken by Eric Stuve (12/17/02). Morgan City replaced Lafayette on sign replacements for Exit 103A. Opelousas, leftover from the original divided highway taking U.S. 167 north, was retained on new panels. Photo taken by Eric Stuve (12/17/02). This style of sign bridge was used regularly throughout the state of Louisiana historically. Few of these assemblies remain now. Exit 103A leaves here for the commercialized stretch of U.S. 167 south. Photo taken by Eric Stuve (12/17/02). The loop ramp (Exit 103B) to Interstate 49 & U.S. 167 leads motorists 200 miles north from I-10 to the city of Shreveport. Photo taken by Eric Stuve (12/17/02). The end of Interstate 49 South as originally envisioned was the interchange where Interstate 10 and U.S. 90 Business (unsigned Interstate 910) come together near Downtown New Orleans. This end point is not entirely certain however, as funding woes have questioned whether or not building Interstate 49 east to New Orleans from the Boutte area is feasible financially. One proposal considered is to reroute Interstate 49 northeast along Interstate 310 and end it near the Jefferson Parish line. See the Interstate 910 Louisiana guide for photos of the possible south end of Interstate 49 at I-10. Richard Savoie (LADOTD), email. January 2003. “I-49 connector gets federal approval.” The Opelousas Daily World, January 9, 2003. “I-49 Coming to Missouri.” MoDOT News Release, August 4, 2010. “Bruce R. Watkins Drive nears end of long, bumpy road to – completion.” Kansas City Star, The (MO), October 21, 2001. Chip Kelley, personal email dated 11/29/04 and “I-49 awaits bill windfall: Arkansas leg of highway needs $1.5 billion.” Texarkana Gazette, November 25, 2004. “DOTD Hosts Ground Breaking Ceremony for I-49 North Pre-Construction Project.” Louisiana Department of Transportation Press Release, April 7, 2005. “Interstate 49 extends leg into Pelican State: Louisiana official suggests gas tax hike to pay for road,” Texarkana Gazette, April 8, 2005, and “Welcome Center, I-49 leg open today: Mayor says ‘great change’ will follow opening of highway.” Texarkana Gazette, December 16, 2004. “Toll road on Bella Vista bypass moving forward.” Arkansas News Bureau, April 13, 2006. “I-49 in the passing lane.” The Shreveport Times, August 19, 2007. “MoDOT completes four interchanges as part of upgrading U.S. 71 to interstate status.” The Joplin Globe, September 12, 2010. “U.S. 71 Interchange north of Milo opens.” The Fort Scott Tribune, November 19, 2011. “Interchange Construction Begins Jan. 30.” Southwest District News Releases (MoDOT), January 27, 2012. “New I-49 Signs Being Installed Along U.S. 71.” Southwest District News Releases (MoDOT), February 1, 2012. 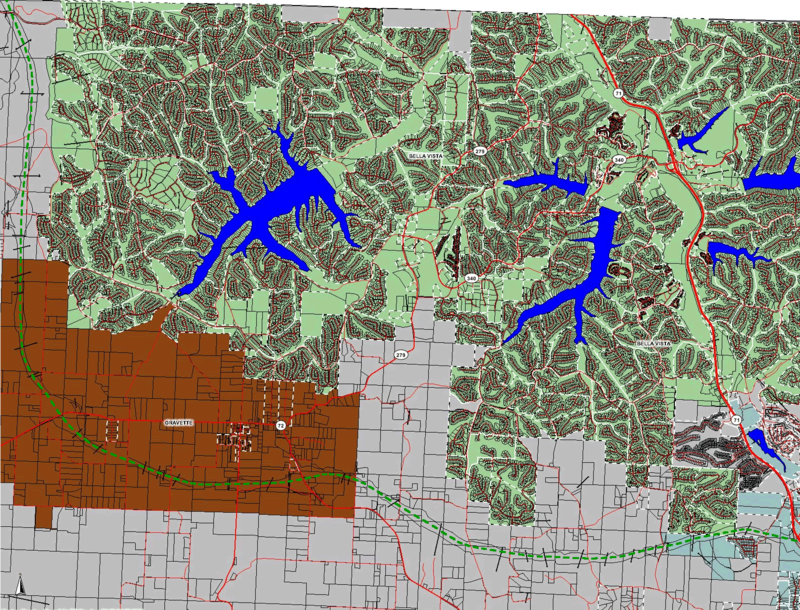 “Re: I-49 Coming to Missouri” online posting by Grzrd, AARoads Forum, February 2, 2012. “New 327th Street Overpass at Route 71 to Open Late Thursday.” MoDOT Kansas City Area District News Release, August 7, 2012. “Re: I-49 in AR (Bella Vista, Fort Smith)” online posting by Grzrd, AARoads Forum, August 25, 2010. 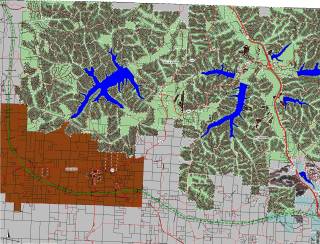 “AHTD Advertises First Bella Vista Bypass Project” online posting by Grzrd, AARoads Forum, January 25, 2011. “Re: I-49 in AR (Bella Vista, Fort Smith)” online posting by Grzrd, AARoads Forum, April 3, 2012. 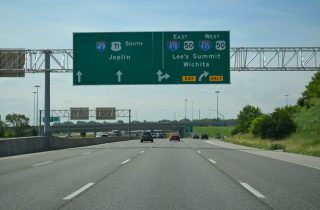 “I-49 North Segment K Construction to Begin in September 2013?” online posting by Grzrd, AARoads Forum, June 21, 2012. “Highway 549 Opens to Traffic in Texarkana Wednesday.” AHTD press release, May 13, 2013. “Smoke from I-49 clearing project fills sky.” KTAL, September 25, 2013. I-49 North, LaDOTD Project web site. 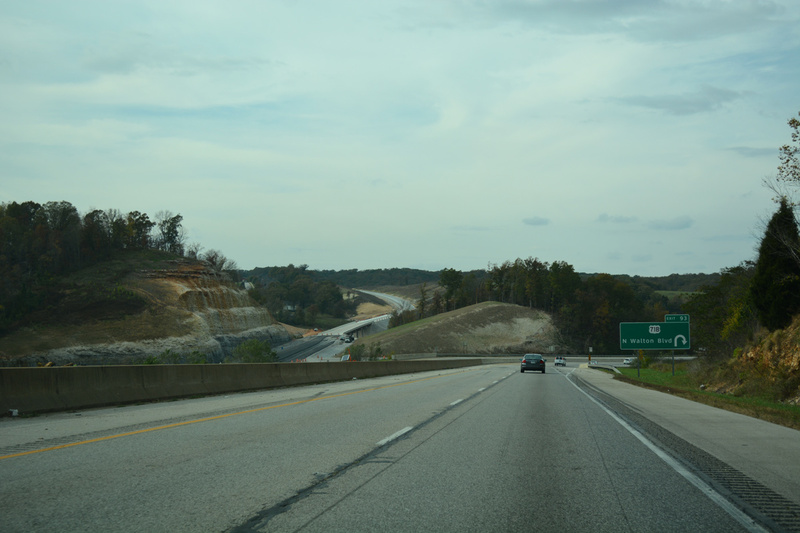 “NORTHWEST ARKANSAS TO RECEIVE NEW INTERSTATE HIGHWAY DESIGNATION.” Information Release, AHTD. April 16, 2014. “First Section of Bella Vista Bypass to Open.” Arkansas Business April 21, 2014. “I-49 opens from Shreveport to Arkansas, beyond.” The Times (Shreveport, LA), November 10, 2014. I-49 Maps and Information, http://www.modot.org/southwest/major_projects/I-49/I-49MapsandInformation.htm MoDOT web site. “I-49 Opening ‘Finally Here,’ FCRA Boss Says.” Times Record Online Edition, June 22, 2015. “Explosions Clear Way For Bella Vista Bypass.” 5News – KFSM/KXNW, October 28, 2014. “Completion of I-49 nears halfway mark.” The Advocate (Baton Rouge, LA), June 26, 1988. “New segment of I-49 open.” The Advocate (Baton Rouge, LA), October 22, 1987. “I-49 section slated to open.” The Advocate (Baton Rouge, LA), March 1, 1989. “New section of I- 49 to open Monday.” The Advocate (Baton Rouge, LA), May 12, 1989. “New stretch of interstate to be opened.” The Advocate (Baton Rouge, LA), November 10, 1989. “I-49 segments to open, should speed up trips.” The Advocate (Baton Rouge, LA), September 11, 1991. “Last non-urban section of I-49 complete.” The Advocate (Baton Rouge, LA), May 3, 1992. “Road Work Ahead.” Acadiana Advocate, The (LA), August 10, 2016. “State will seek bids on U.S. 90 J-turns later this month.” Daily Review, The (Morgan City, LA), September 5, 2016. “Area chambers meet to discuss Interstate 49.” TXKtoday.com, June 27, 2016. “I-49 Bridge Engineering Makes State Draft Pla.” Times Record (Fort Smith, AR), January 28, 2016. “Cost of 1.5-mile I-49 core: $355-668 million.” Daily Advertiser, The (Lafayette, LA), October 27, 2016. “I-49 bypass slated for completion in summer 2022.” The Joplin Globe (MO), March 6, 2019. Page updated April 11, 2019.